Escape the Xmas rush-pick up your toddler and head over to the Great Northern Forest Tots! 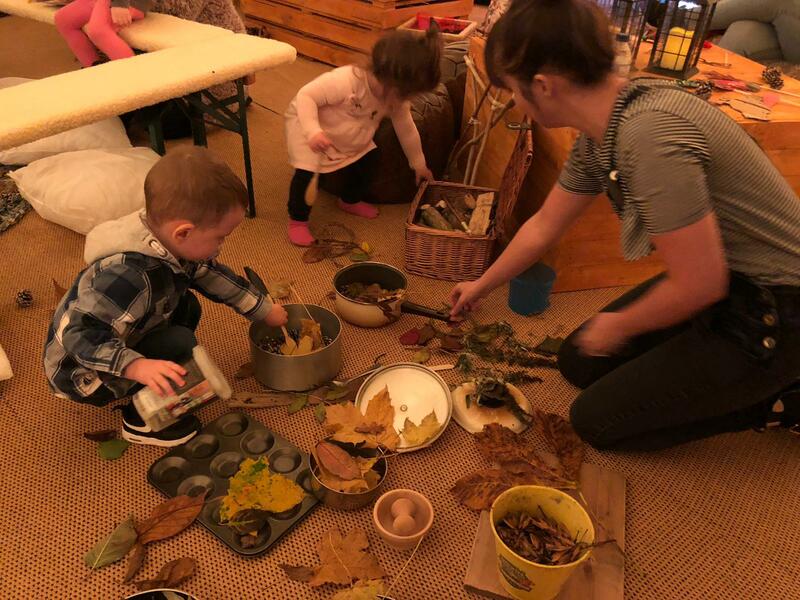 If the chaos of Christmas is becoming too much this year, then look no further than the Great Northern Warehouse, who are hosting free stay & play sessions for kids from across Manchester, focusing on connecting to nature. Based in the amphitheatre at the Great Northern, the Forest Tots sessions will take place in our festive tepees. Led by a fully qualified Forest School leader, these will be creative ‘stay and play’ sessions that bring nature into the heart of the city. Taking place every Wednesday from 10:30am-12:30pm, the sessions might include: creating twig mobiles, weaving a nest, going on an urban bug hunt, using berries to make paint, drawing the natural environment and even creating a tiny den. The sessions will offer children and parents the chance to escape the hustle and bustle of the city – and remember what’s really important in life. The Great Northern Forest Tots is aimed at children 5 years old and any child must be accompanied by an adult. The sessions are on until Wednesday 19th December at the amphitheatre in the Great Northern Square. CBeebies’ Octonauts Return to SEA LIFE Manchester for Underwater Extravaganza!